The increasing demand for minimally invasive (MI) procedures is driving the growth of the global market for interventional oncology. The growing awareness about the benefits of MI surgeries, such as reduced risk of infection, minimal complications, shorter hospital stay, lesser pain, and a faster recovery time when compared to the conventional open surgeries, are encouraging patients and surgeons to opt for MI surgeries, resulting in the high growth of this market. The global interventional oncology market will continue to be driven by these factors over the coming years. The increasing incorporation of image-guided solutions in interventional oncology procedures, thanks to the improvement these solutions provide in the diagnosis and treatment of cancer-related issues, is also expected to supplement the growth prospects of this market in the near future. The presence of a number of local and international vendors characterizes the business landscape of the worldwide market for interventional oncology, which is highly competitive and diversified. Technological advancements and constant introduction of new products are likely to intensify the competitive environment in the market. The leading players are focusing aggressively on expanding their product portfolios. Interventional oncology, a subspecialty of interventional radiology, finds application in the diagnosis and treatment of cancer and cancer-related problems. It is an image-guided, minimally-invasive technique conducted by trained experts. Most procedures are either outpatient or require an overnight stay in the hospital. Recovery time is also minimal. Some of the popular procedures used are intra-arterial therapies, ablative therapies, pain palliation, and neoadjuvant (pre-operative) procedures. 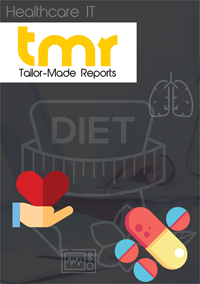 A report by TMR research studies the global market for oncology intervention in details by factoring in current and historical data. It presents a qualitative analysis of the growth drivers and restraints and also projects it growth trajectory in the future. Fanning growth in the global interventional oncology market is the increasing instances of liver, lung, stomach, colorectal, and breast cancer worldwide. This has upped demand for minimally invasive procedures to treat or eliminate cancerous cells. On account of their targeted nature that cause little damage to adjacent tissues and organs, cause little complications, and result in a shorter recovery time, minimally invasive techniques in interventional oncology has stolen a march over alternative cancer treatments such as conventional surgeries, systematic chemotherapy, and radiation therapy, and systematic chemotherapy. Additionally, the rising combination of image-guided solutions with interventional oncology procedures will also likely stoke the global market for interventional oncology in the next couple of years. The global market for interventional oncology is primed for healthy growth in the foreseeable future. A growing thrust on pairing up interventional oncology drugs with device-based interventional oncology procedures could make the procedure mainstream soon. This would likely provide a major fillip to the market. Depending upon procedure and analysis, the global market for interventional oncology can be segmented into ablation and embolization. Of the two, the interventional oncology embolization segment holds a leading share in the market and would continue doing so in the near future. This is because of the rising need for minimally invasive procedures in the treatment of cancer, uptake of embolization procedures by hospitals and ASCs, and direct selling of embolization products, namely DC Bead, Bead Block, and DC Bead M1. Geographically, the key segments of the market are the Americas, Asia Pacific, and the Europe, Middle East, and Africa. Among them, the Americas hold a leading position and will continue doing so in the upcoming years as well on account of the rising instances of cancer, increasing application of minimally invasive procedures, technological progress such as robotic navigation systems, and effective medical reimbursement policies. Increasing support from the government and other organizations for research and developmental activities is also expected to bode well for the market in the region. The global market for interventional oncology is highly competitive and diversified because of the presence of numerous regional and international vendors worldwide. The market is highly dynamic on account of rapid technological advancements and unveiling of new products from time to time. All of these are also serving to intensify the competition in the market. Many savvy vendors are leveraging advanced technologies to improve their product portfolio, bring out innovative products, and enhance patient satisfaction. This has helped them outsmart new entrants. Some of the key players profiled in the report are Boston Scientific, Medtronic, BTG, TERUMO, and Merit Medical.